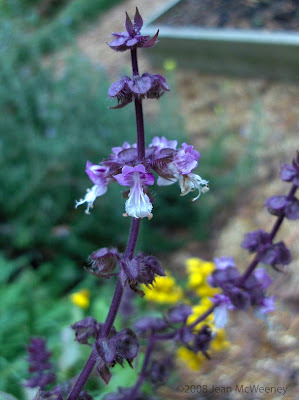 Here we go with what's blooming in my yard on the 15th of the month, for Garden Bloggers Bloom Day. Although it may be fall, the blooms are still hanging in there. This is probably common this time of year in many gardens, Autumn Joy Sedum. Most of mine are dried and brown but this little one is a late bloomer. When I saw this photo enlarged on my computer I noticed these little black ants (or some type of bug) amongst the little buds. I love the self-seeded alyssum. I guess that's because I could never keep alyssum going year round in Texas! That's a prostrate rosemary growing in between them. Here's my brugmansia, the plant that drives me crazy. It only blooms in the fall but what whopper blooms it gets. 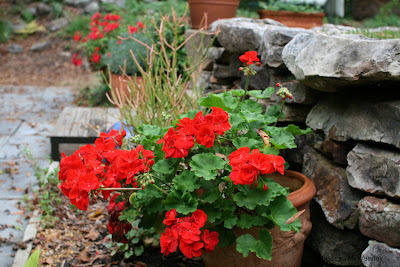 The potted geraniums (pelargoniums) are still going strong despite a couple of light (very light) freezes. 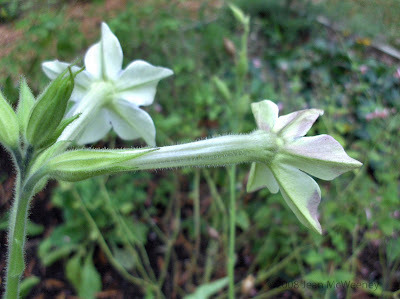 I've become a huge fan of nicotiana since I planted these this year. I bought some more on my last nursery trip. 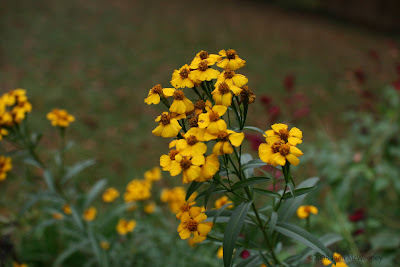 Mexican Mint Marigold (Tagetes lucida), a nice fall bloomer. Purple petra basil, still hanging in there. 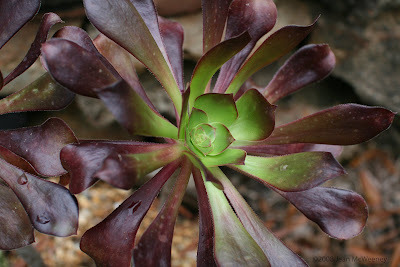 Last but not least, and not exactly a bloom, I need to give a shout out to my aeonium, Aeonium arboreum v. atropurpureum ‘Zwartzkopf’ . The poor little thing hasn't gotten the star treatment on my blog yet! There are several other things blooming too - most of the roses, coneflower, bouganvillea, and a surprise paperwhite narcissus. 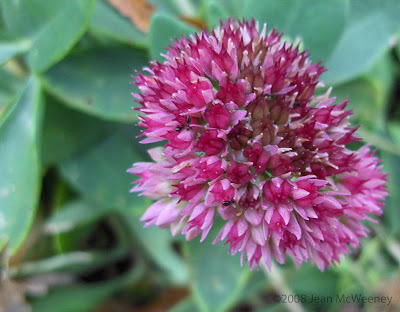 Now it's time for me to see what's going on with everyone else's blooms on their blogs! 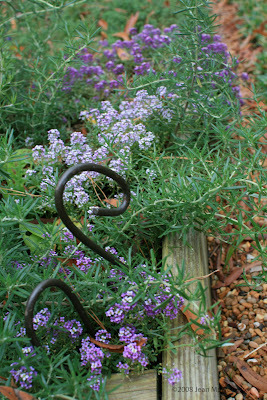 Hi Jean, I love alyssum as well, esp how it self seeds and pops up in odd spots. You and I have similar taste, i have all those plants too, except the Nicotania. But now i'll be sure to try it! Thanks for joining in for bloom day! It's taken me awhile to come visit, but I'm glad I did. It's nice to see some of the blooms that are long gone from my garden are still lingering in yours! 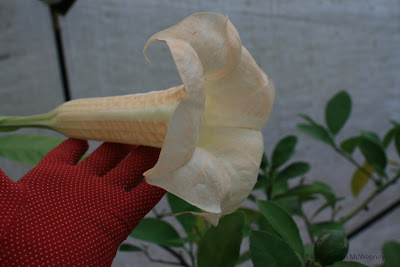 I hope your Brugmansia doesn't drive you crazy in an hallucinogenic sense...?